Whether you're new to Salem or remember where you were for John and Marlena's first wedding, Inside Salem is the official Days of our Lives companion podcast where you’ll hear exclusive interviews and behind-the-scenes stories from your favorite stars. Hosted by journalist Michael Fairman with a rotating panel of co-hosts and special guests from the Days cast and crew, each episode takes a deep dive into the groundbreaking soap opera's past, present and future. Take a look through the hourglass with new episodes releasing every other week. Chrishell Hartley Spills the Beans on Jordan's Secret Baby; Wally Kurth, Judi Evans and Freddie Smith Play "Dish, Dirt or Delight"
Chrishell Hartley tells us everything she knows about Jordan Ridgeway's surprise baby and feelings toward Rafe. Then, Wally Kurth, Judi Evans and Freddie Smith join Michael Fairman in the studio to discuss the Kiriakis family dynamic and talk about their favorite cast members in a game of "Dish, Dirt or Delight." Olivia Rose Keegan joins host Michael Fairman to chat about her Emmy nomination, justifying Claire Brady's history of violence and her musical inspirations. Then, Melissa Reeves welcomes Casey Moss into her dressing room to discuss memorizing lines and the overwhelming nature of soap opera production. Kassie DePaiva joins host Michael Fairman to talk about Eve's role in the immigration storyline and her enduring relationship with DAYS head writer Ron Carlivati. Plus, we go behind the scenes with Eric Martsolf, and Victoria Konefal talks about becoming Ciara Brady. Camila Banus sits down to give her take on Chad and Abby's exit, Gabi Hernandez's battle with Stefan and the importance of Gabi Chic. Then, Chandler Massey and Freddie Smith discuss all things Will Horton and Sonny Kiriakis. Drake Hogestyn joins us from the set of DAYS to discuss "Roman" and Diana being together again, retaining John's history after all these years, his first audition, whether John believes he's Leo's father and much more. Then, Eric Martsolf gives us a behind-the-scenes tour of the DAYS set, with a special appearance by Linsey Godfrey. Plus, two can't-miss clips! Judith Chapman talks with host Michael Fairman about her return to DAYS as Diana Cooper, what happened when she told Greg Rikaart that they would be working together again after The Young and the Restless and what she loves about soap opera fans. Then, Suzanne Rogers tells us the story of her dressing room and talks with John Aniston about their on-screen chemistry, memorizing lines and using cue cards. Melissa Reeves Reflects on Jennifer Horton's Most Iconic Scenes; Paul Telfer and Greg Rikaart Play "What's My Line?" Melissa Reeves sits down to talk all things Jack and shares her thoughts on becoming the Horton matriarch. Then, Paul Telfer and Greg Rikaart give us the inside scoop on Xander and Leo, detail their families' reactions to DAYS, and play "What's My Line?" After dying on the show multiple times, Jack Deveraux is back! Matt Ashford talks to Michael Fairman about his experience returning to Days of our Lives. Then, Rob Scott Wilson and Victoria Konefal join to discuss why Ben Weston and Ciara Brady's romance is so convincing. Susan Seaforth Hayes joins the podcast to reflect on 50 years of playing Julie Williams on DAYS; Matthew Ashford reveals the history of his dressing room and talks to Kassie DePaiva about coming from theater in New York, his history in soap operas and the challenges of returning to Salem as Jack Deveraux. Gilles Marini Reveals Ted Laurent's Weakness, Eric Martsolf and Nadia Bjorlin Talk Fan Encounters and "Broe"
Gilles Marini talks about the difficulties of working on a soap opera, analyzes Ted Laurent's romantic side and shares stories from Dancing with the Stars, Brothers & Sisters and DAYS. Then, Eric Martsolf and Nadia Bjorlin talk about Eric's decade on DAYS, Brady and Chloe's relationship and their most bizarre fan encounters. Marci Miller joins host Michael Fairman to talk about Abigail's alters, stepping into the role of an established character and why she's moving on from DAYS. Then, Gilles Marini, Bill Hayes and Susan Seaforth Hayes, Camila Banus, Melissa Reeves, Suzanne Rogers, Judi Evans, Rob Scott Wilson, Victoria Konefal, Kassie DePaiva and Olivia Rose Keegan react to fan feedback, and we attend the Day of Days fan event for some fun trivia. Actor Stacy Haiduk joins host Michael Fairman at the Days of our Lives studio to discuss replacing Eileen Davidson as Kristen DiMera, first impressions of Susan Banks, her love of the wardrobe team and more. Then, Suzanne Rogers, Mary Beth Evans and Freddie Smith stop by to celebrate the legacy of Emmy-award winning DAYS star Peggy McCay. Podcast Premiere: Rob Scott Wilson on Ben Weston's Redemption, Mary Beth Evans and James Reynolds Talk About Kayla and Abe Hooking Up and More! 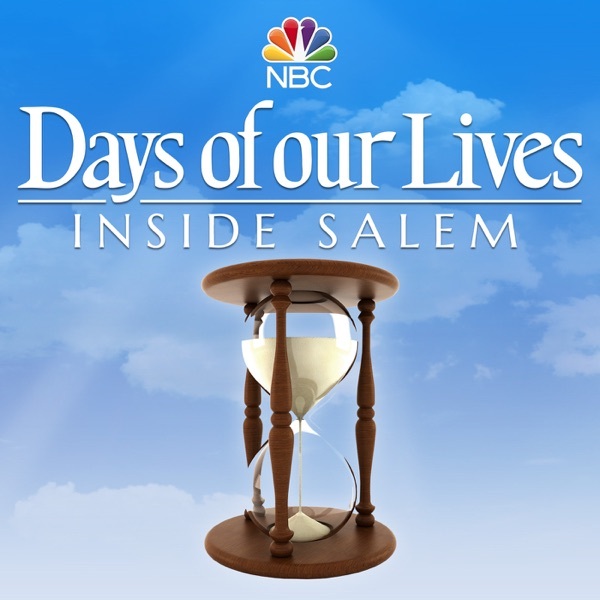 Actor Rob Scott Wilson joins host Michael Fairman at the Days of our Lives studio in Burbank, California, for the premiere episode of Inside Salem: Days of our Lives Podcast. They discuss Ben Weston’s road to redemption, Wilson's career leading up to Days and much more. Then, Mary Beth Evans and James Reynolds chat about the old days working at the Days studio, Kayla Brady and Abe Carver "hooking up," memorizing lines, doctor lingo and their favorite fan interactions.